There are moments in time when you know something terrible is about to happen but you can’t look away; and there are moments in history that are seared into our minds but we never got to see what was happening the seconds before tragedy struck. Many of these moments are great tragedies that changed the world with their far-reaching impacts with the aftermath usually being the first thing the media seizes upon. 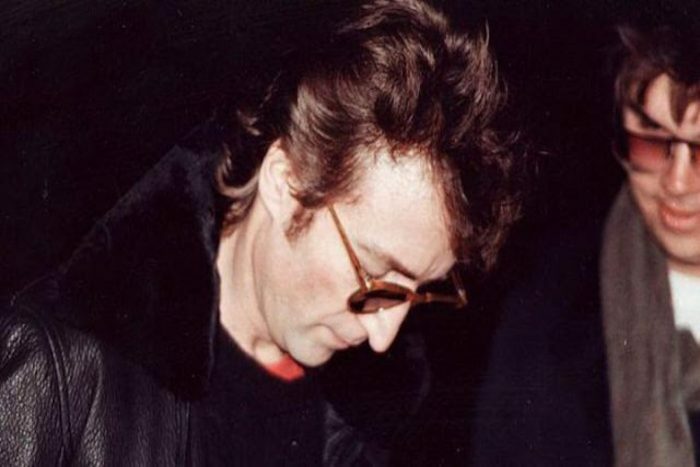 The man who shot John Lennon, Mark David Chapman, is getting an autograph from the Beatles star. After signing the album for him, Lennon asked, “Is this all you want?” Chapman smiled and nodded in agreement. Four hours later tragedy struck; as Lennon was returning to his residence from a recording studio, Chapman fired five bullets into Lennon’s back from close range.